Phoenix Tears Spiced Rum is rated 5.0 out of 5 by 3. This item is non-returnable unless faulty. For details of your rights to return or cancel, please refer to our returns policy returns policy for full details. 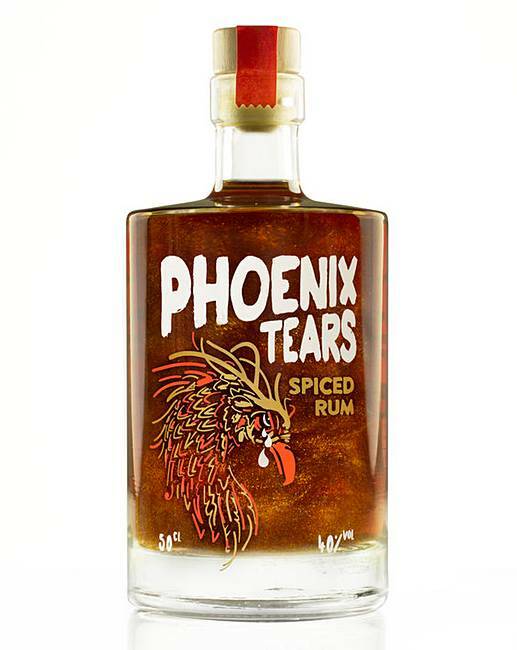 Made by mixing the Phoenix's sorrowful tears with a premium Caribbean rum, Phoenix Tears Spiced Rum offers aromas of brown sugar and dried fruit with cinnamon and ginger on the palate - resulting in a sweet and spicy flavour. Phoenix Rum is also sprinkled with a shimmering of edible golden flakes for added visual impact. Rated 5 out of 5 by Janet 1953 from Nice smooth rum Bought this for a Christmas present, it was liked.